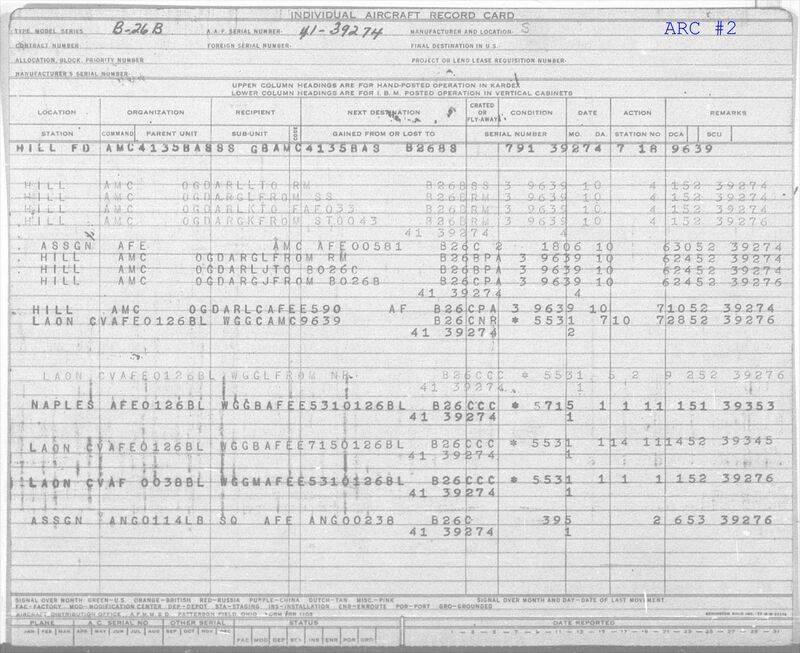 Aircraft Record Cards were maintained for all U.S. military aircraft, from acceptance by the service through retirement from inventory. They provide a compilation of transfers, activities, locations and responsible units; although they do not include information on missions, crews or detailed daily activity or locations. These cards have many name variations, such as Aircraft Master Record, Aircraft History Cards, Individual Aircraft Record Cards or just Aircraft Record Cards. 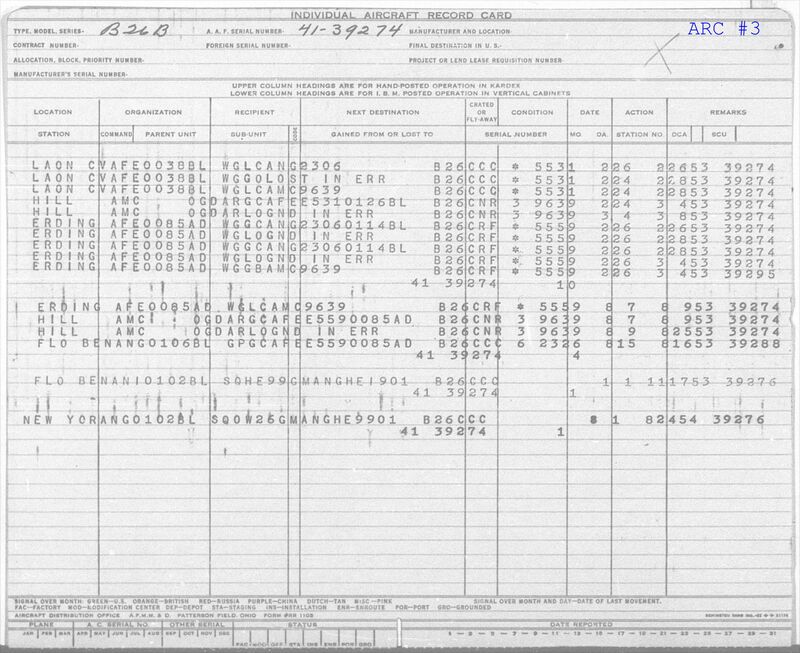 Likewise, both formats and codes used to track information varied considerably over time. Below are the individual images of the 9 "Sugar Baby" Aircraft Record Cards. Click on an image to display a larger version of the card. A Summary Interpretation is included at the bottom of the page, and a Detailed, Line-by-Line Translation of each card is included on a separate web page. 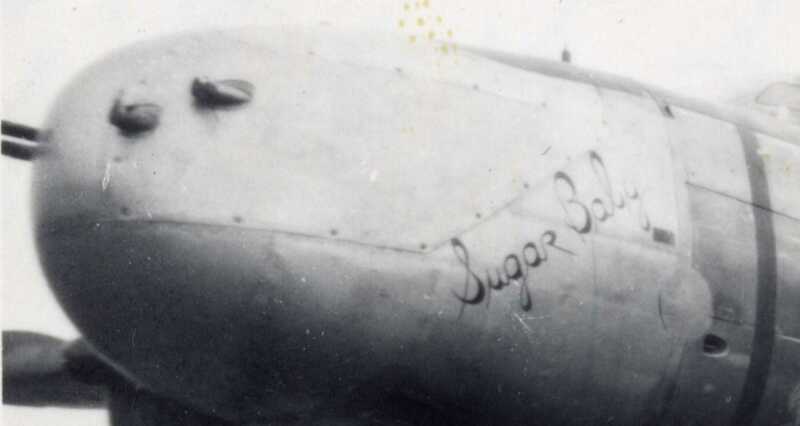 Click to view a PDF file containing all 9 "Sugar Baby" Aircraft Record Cards. 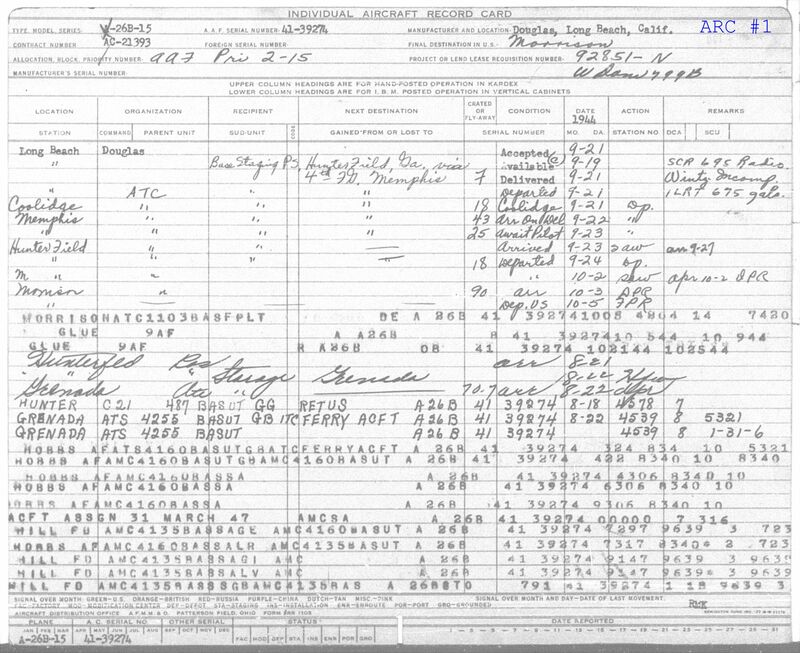 Summary Interpretation of "Sugar Baby" Aircraft Record Card entries. Manufactured by Douglas Aircraft, Long Beach CA (19 Sep 1944) and delivered to the USAAF on 21 Sep 1944.